Miso Katsu don is always my top choice when I buy takeaway Japanese food. Why? 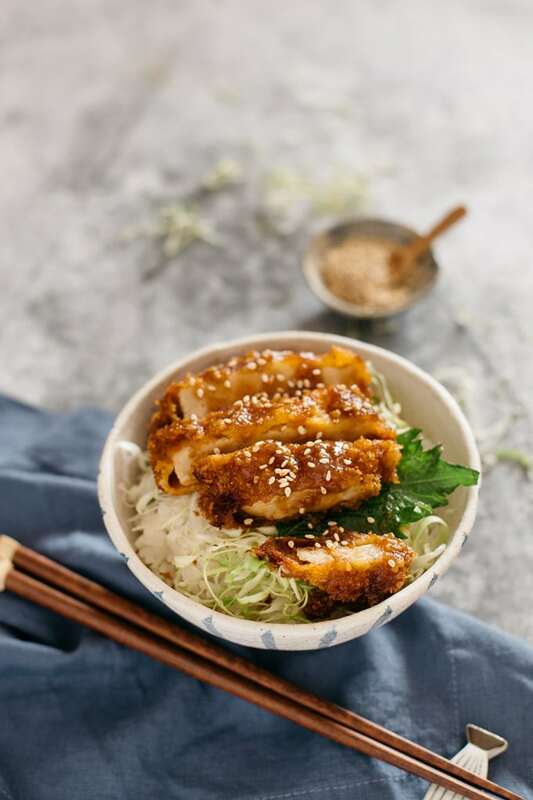 Because it’s a delicious Donburi (rice bowl) dish made from the yummiest Japanese foods: Katsu on top of plain Japanese rice coated with Miso sauce!! Nagoya is generally famous for Miso katsu and Miso katsudon with dark coloured miso or Hacho miso which is made out of beans. I was born in a town called Shirahama in Wakayama prefecture but then moved to Ise, Mie prefecture where I first encountered Miso Katsudon! 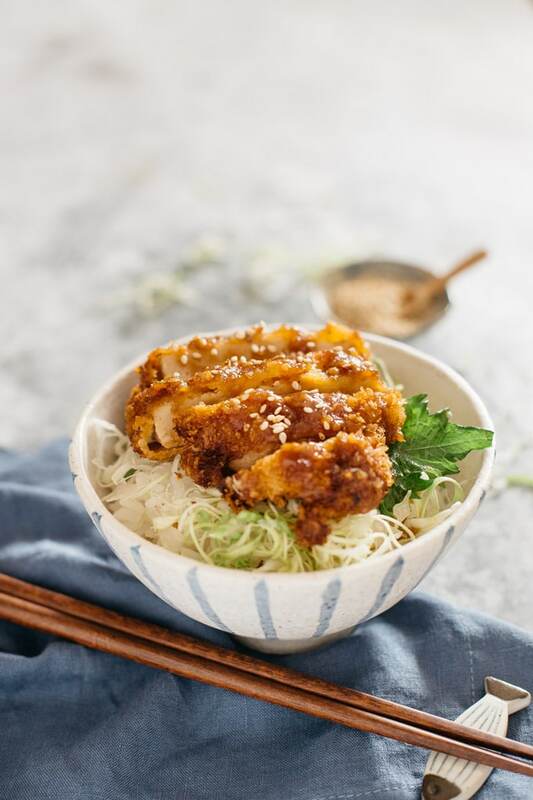 Miso katsudon is deep fried panko crumbed pork cutlets on top of rice in a bowl and then sweet umami packed delicious miso sauce is drizzled over the pork cutlets. Miso goes with any protein but the flavour matches particularly well with pork. Miso Katsudon is so delicious because the miso sauce is not just miso paste coated on the pork cutlets. Miso sauce is made with dashi stock, mirin, sake, sugar, and miso all mixed together. That is how the unique sweet & savoury flavour is created and loved by almost all Japanese people. If you live outside of Japan, getting Hacho miso might be a little challenging. However, you can use any type of miso. 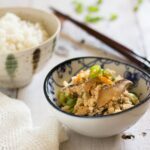 I use my homemade miso to make this special sauce and it is as delicious as the miso katsudon I used to have in Japan. 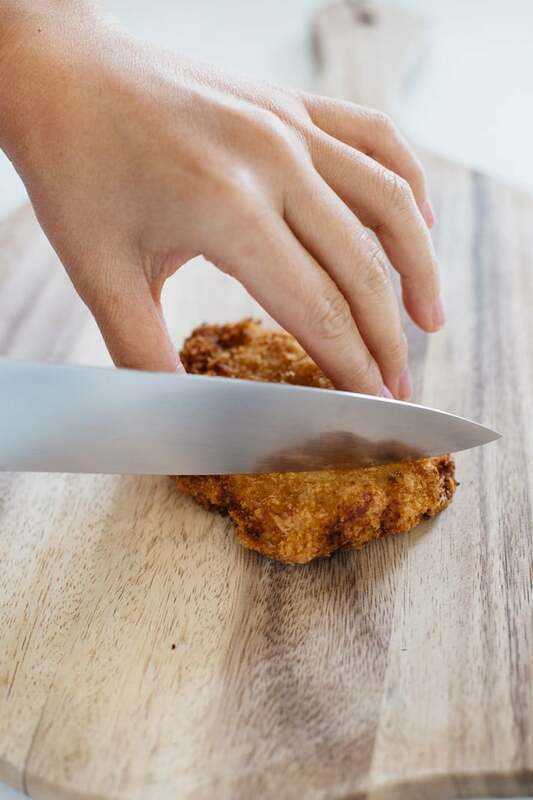 How to make katsu though? No worries, I’ve got your back (new idiom I have learnt :D). I shared Hirekatsu which is pork fillet panko-crumbed katsu and Tonkatsu which is pork loin panko-crumbed katsu. I personally like “Hirekatsu”, which one do you like? Check out my recipes for Hirekatsu and Tonkatsu if you have not already. Can you use other protein sources apart from pork? Yes you can. For whatever reason you do not eat pork, you can replace it with chicken, fish, seafoods, and even you could use vegetarian options such as tofu (use firm tofu). Also you can bake instead of deep frying to make it healthier. Here is my instruction for Miso Katsudon and If you liked it, please rate it and leave a comment below. Also, don’t forget to follow me on Youtube, Pinterest, Facebook , Twitter and Instagram to keep up to date with all the latest happenings on Chopstick Chronicles. Don’t forget to use the hashtag #ChopstickChronicles so I can see your wonderful creations! Miso Katsudon is a delicious Donburi (rice bowl) dish made from katsu (fried pork/meat) on top of rice coated with a tasty miso sauce! Cook the rice according to your rice cooker instructions or if you don't have one, follow the recipe here. Cook the Hirekatsu by following the instructions here. Place all the miso sauce ingredients in a small saucepan and bring to boil over high heat. Turn the heat down to low and simmer the sauce for about 8-10 min to reduce the sauce and make the consistency thicker. Slice the cooked Hirekatsu into 2cm strips and set aside. 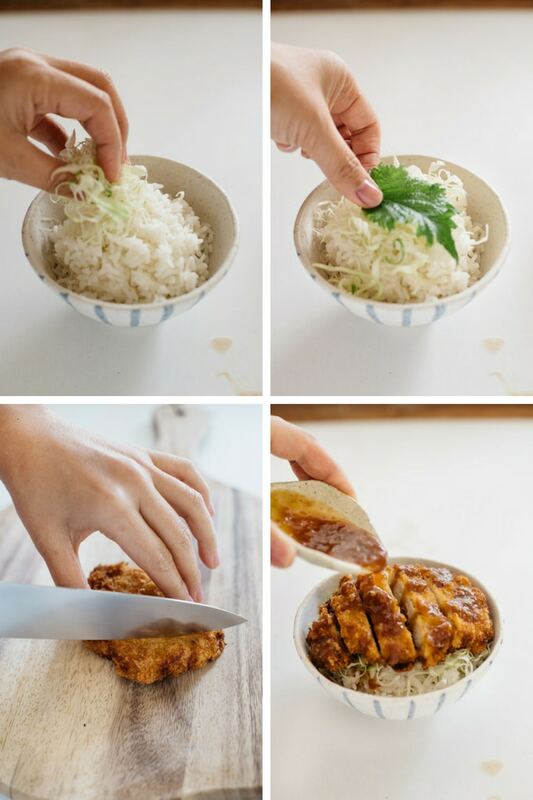 Place some of the rice in a bowl, and drizzle some of the miso sauce, then top with the salad leaves/cabbage and the sliced fried pork. Pour the miso sauce over the top and sprinkle with sesame seeds then serve! Nutritional value is an indication only as it is difficult to accurately calculate oil absorption. In this recipe, I only wrote for Miso sauce. 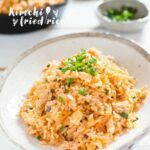 For Hirekatsu and Rice, Please see the post on Hirekatsu and How to cook Rice without a rice cooker. Why does frying always taste better! Though I do agree that baked is just as good, sort of. 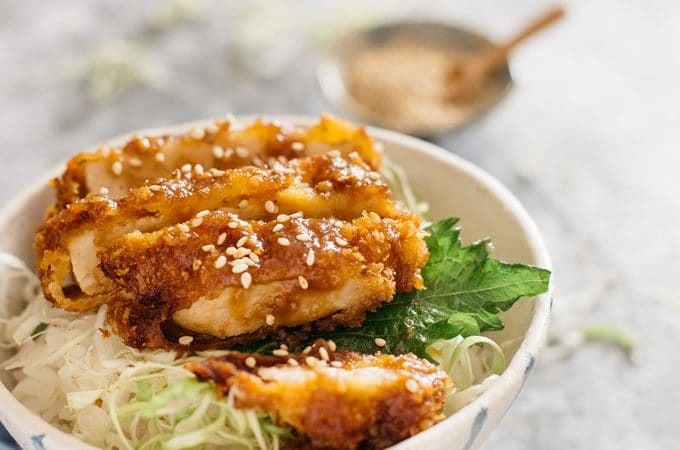 What a great twist on tonkatsu. I am recently addicted to miso! This looks soooo GOOD – will have to give it a try. Thank you Jacqueline 😀 Miso is my favourite Japanese condiments! Love the texture and flavors in this dish. This looks phenom! My fiance and I lovvvvve Asian food, and we are always looking for new delicious recipes! Can’t wait to try this one! Thank you Sarah 😀 I am glad that you find new recipe here! 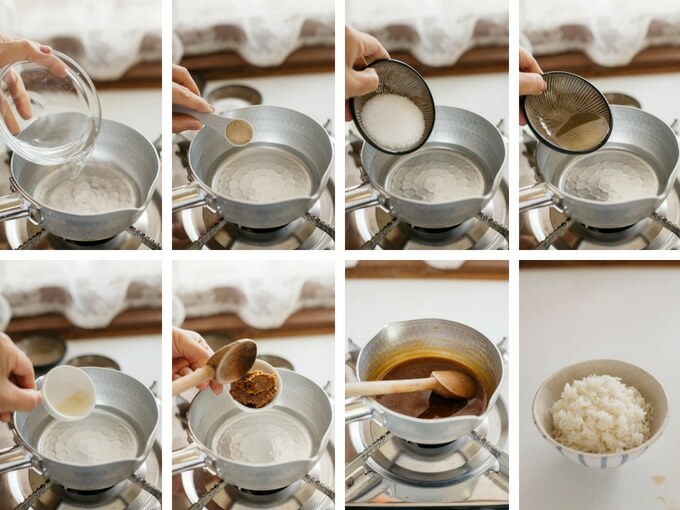 Sweet Miso sauce is my favourite for Tonkatsu, Hirekatsu and Chicken Katsu <3 too. I’ve never had any form of katsu with miso on it. This is a must try. Looks gorgeously delicious as always. Ohh AiPing, you should try this! 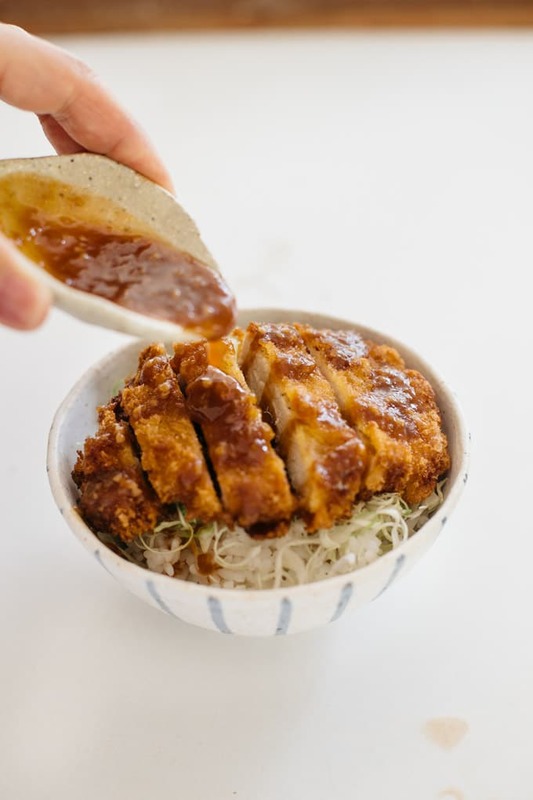 I think Miso is the best sauce for any Katsu:D Nagoya is very famous for it and there are a lots of restaurant specialise in Miso Katsu in Japan. Do you have a preferred sake to use with this recipe? Hi Caitlyn, I usually use sake for cooking because they are cheaper than for drinking. I just checked the brand I have in my pantry, is “Hinode cooking Sake”. It is, isn’t it! it’s one of my favourites! I cannot wait to make this at home. Looks so delicious. Miso is one of my favorite ingredients and flavors of all time. Thanks so much for sharing. Looking so good and yummy. Perfectly cooked for rice. 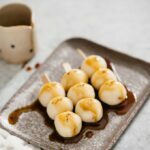 Thank you for posting your delicious recipes Shikoko. Your blog is my most favourite of all the culinary blogs I follow. I am so glad I found yours. I look forward to you next instalment. Best wishes. I made this dish tonight and it was amazing! It tasted just like the miso katsudon I ate in Nagoya. Hello Shihoko, I am excited to start cooking Japanese dishes and Have bought the main Japanese ingredients like Miso paste, Dashi packet, Bonito flakes etc. I would like to try this recipe but don’t have Dashi Powder. What can I do to substitute for it?